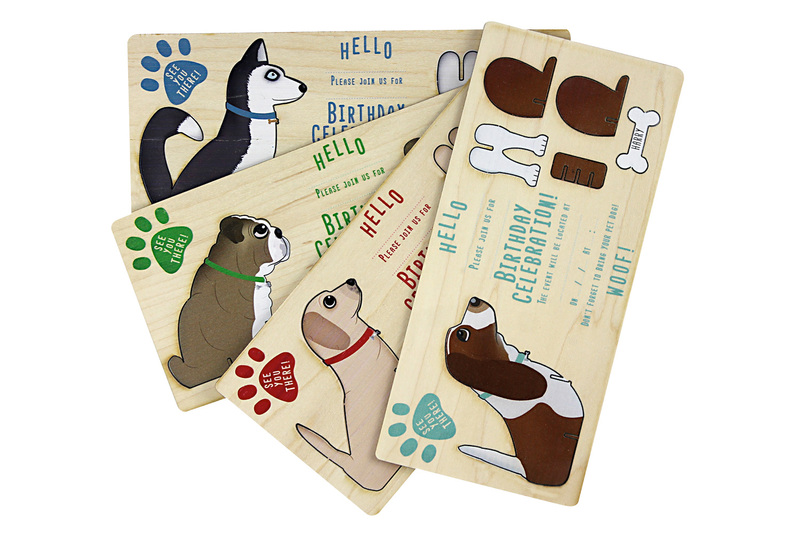 High quality, wooden birthday invitations printed with four different fun-lovin' dogs. 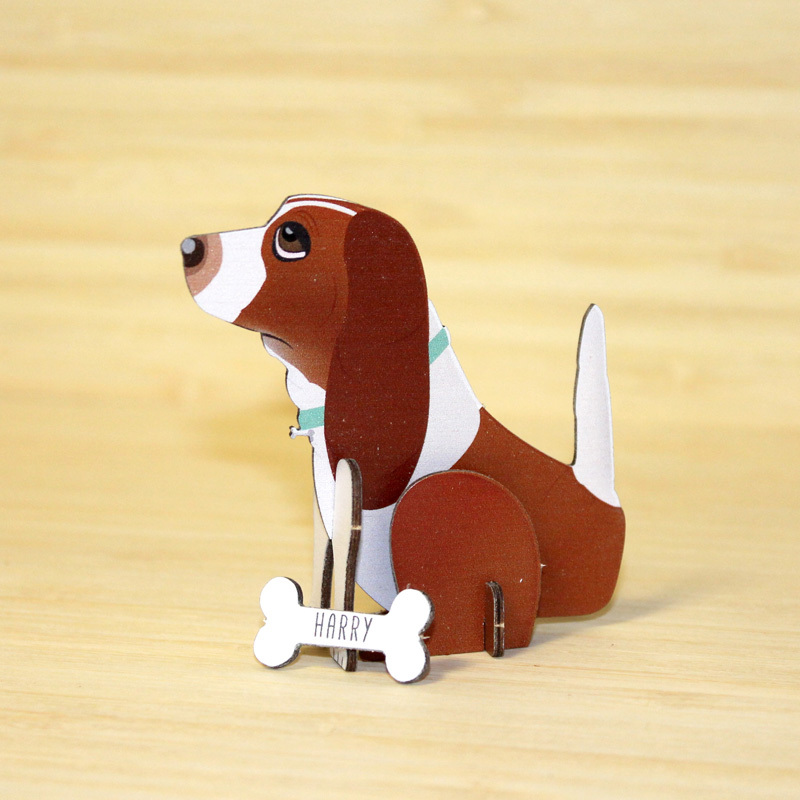 The pack consists of four invites with a basset hound, a bulldog, a golden retriever and a husky, each with a cut out bone. 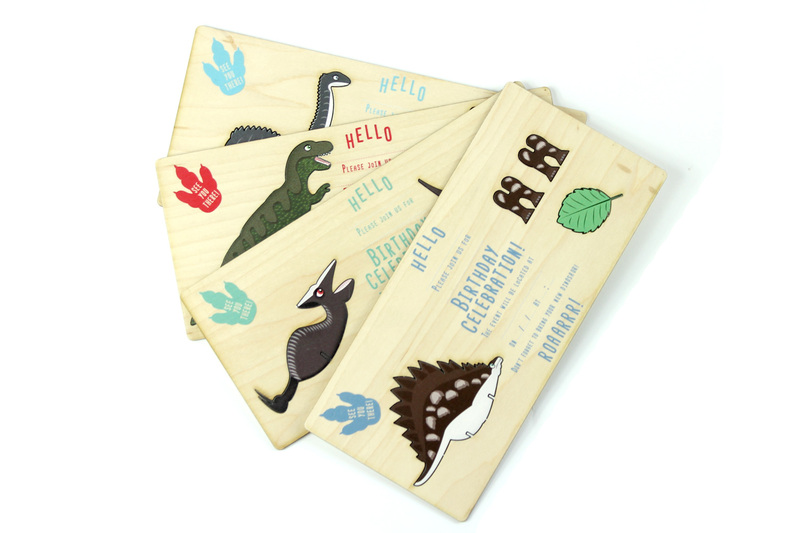 Create a big impact with your guests with these unique, fun invites. 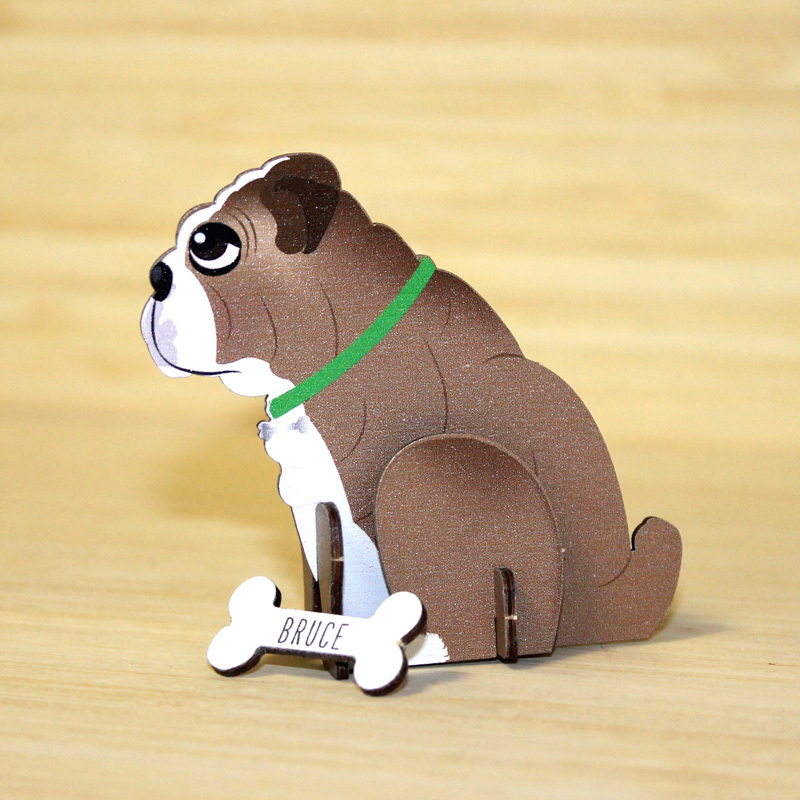 Meet ‘Harry’ the Basset Hound, ‘Sven’ the Husky, ‘Cooper’ the Golden Retriever and ‘Bruce’ the Bulldog. 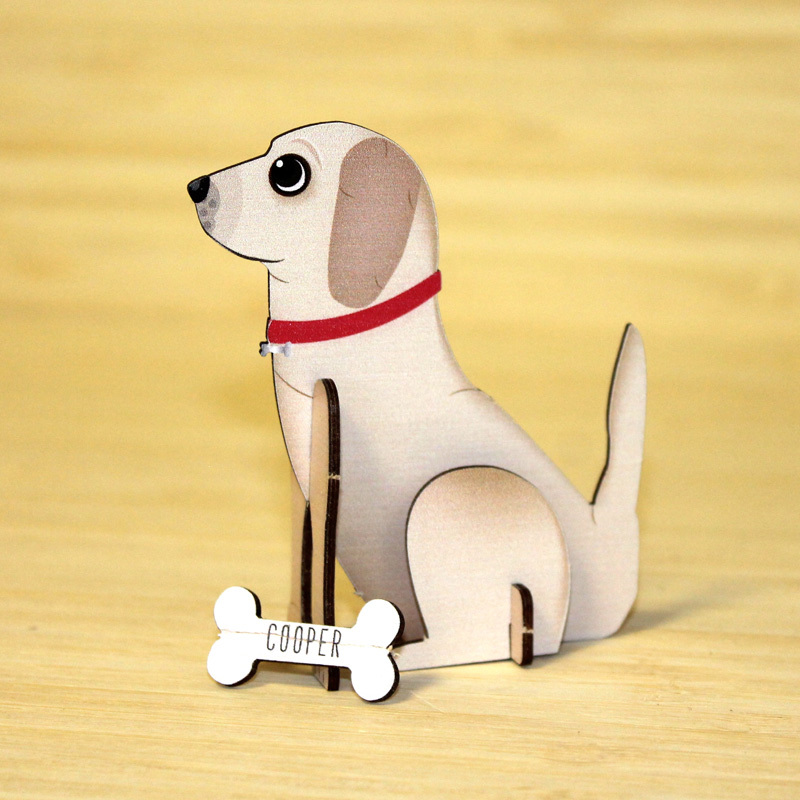 Each dog has been illustrated here by our designers at Inspirwood, have great personalities and make amazing pets to keep and love. 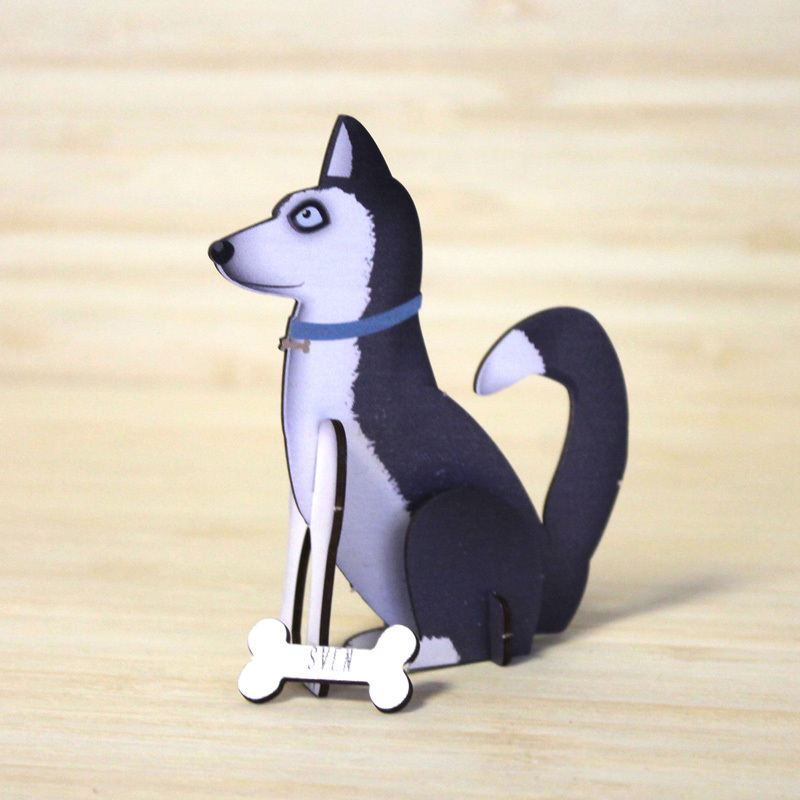 Your guests can push out the shapes on the invitation and make up these pooches and get those tongues wagging at the party. 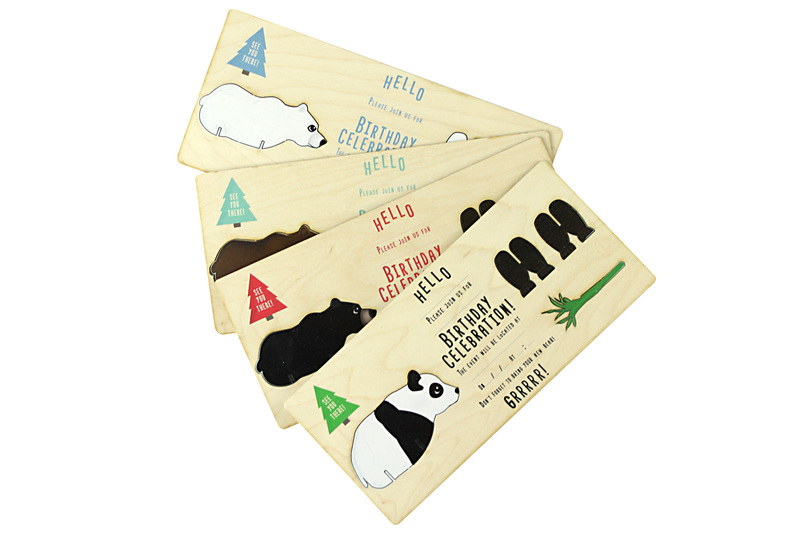 Get them today and get your celebration off to a great start. 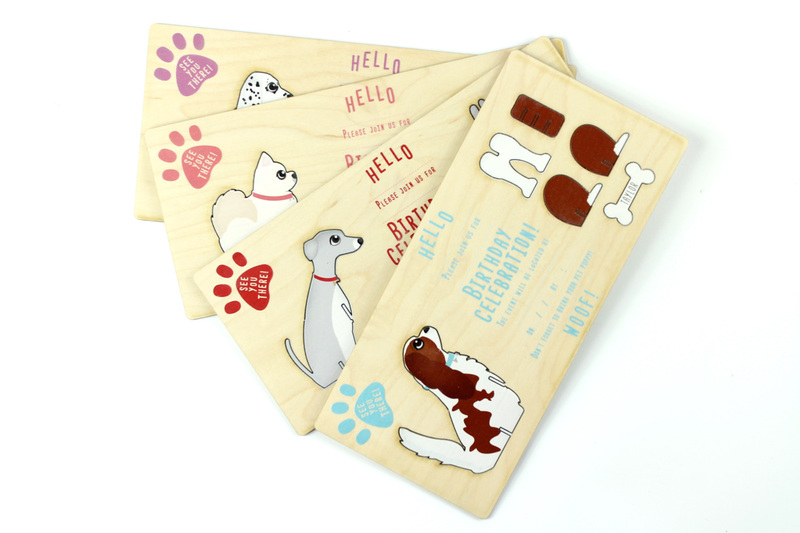 Each pack of the ‘Doggy’ WoodenVites comes with these four furry friends. 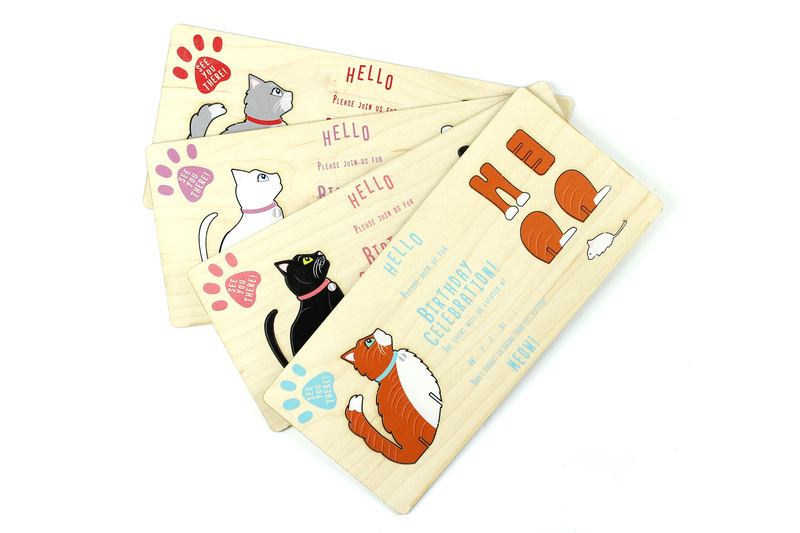 Printed onto sustainable 1.5mm maple, laser cut to shape and supplied with envelopes.